So far Salvatrucho has created 37 blog entries. It feels like every weekend we are up to something. 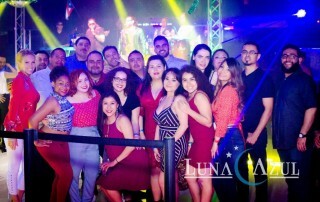 On this particular night we chose Luna Azul Restaurant and Bar for our outing event. I chose this spot because it was focused but not limited to our dance students and friends from Arlington and Fort Worth. We wanted to make it an easy drive. Most of our dance class wants to practice and we create these events to practice and have fun while doing it. We had a blast, we danced to live music and enjoyed hanging out with each other. We managed to get to know each other better and created an excellent opportunity to embrace Latin Dancing and all the benefits associated. After a great night of dancing we chose to try out the food truck tacos that was parked outside in the parking. They turned out to be pretty good as well. We recommend this place. We had a very good time and the staff was really nice to our large party. Thinking about going to Croatia Salsa Bachata Festival or just looking for an excuse to go to Europe? If you like attending dance festivals than you’ve definitely heard of the Croatia Salsa Bachata Festival that takes place every year lasting 2 weeks. One week is focused on Bachata & Kizomba and the Second week on Salsa linear and Salsa Cubana (Timba). I been wanting to attend this festival for about 10 years already so I was way overdue but better late than ever. Coming from Dallas this trip is not gonna be cheap. I had to save some Mula for this one. I’m used to traveling to Latin America where you’re money goes further and Europe was the complete opposite effect. I had never been to Europe so I decided this was the perfect opportunity and excuse go back packing through Europe and attend the Croatia Salsa Bachata Festival. 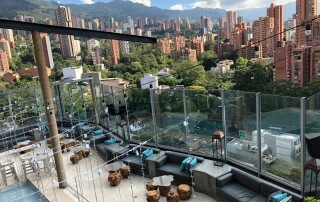 Planning a trip to Medellin Colombia? I strongly recommend it! One of the first things you will notice is how nice everyone is here. If you ask a question they will try their best to answer it making you feel like you are the only thing that matters. It’s quite spectacular to be quite honest. The Second thing you will notice immediately is the amazing weather! Man, the weather is awesome here at 80 degrees with a nice breeze all the time. I love it! If you like Salsa dancing like I do, you’re gonna enjoy this part of the world. Live bands everywhere and so many options to hang out and listen to great music. The food is also to die for. I’m eating so much here trying to taste all the cool little restaurants around Parque Lleras. Focus was the box step and coca cola in Salsa and Urban bachata with lots of challenging turns and decoration. Here is another cool pattern by Karla and Sal at Alpha Midway Dance Studio. Each pattern is about 6 different figures. This class is offered every Wednesday in Dallas at the Dallas location. Sign-up online to receive your first class for free. The challenge is a 6 hours intense performance program that begins on the 3rd Friday from 7-9PM and then Saturday 11AM – 1PM with a one hour lunch and last from 3-5PM. The purpose is to train and perform for this weekend. This is perfect for the individual that doesn’t have time to join a team but has 6 hours to train on the 3rd weekend for the month. The level is intermediate to advance. You will definitely walk out of it with a feeling of achievement. This was not the first time we were there, it’s always so much fun going back and seeing all the new faces! We enjoy going to UNT every year and teach what we love. We start with movement drills as a warm up and then get down to business with Salsa or Bachata fundamental steps. The goal of the class is to get the students comfortable moving to the music and leading or following some partner work. In this case we had a great turn out and everyone walked away dancing. To start your dance journey join our group class or schedule your first private lesson all right here on our website. See you on the dance floor! Class of 2018 In Da' House getting their Salsa onnnn! from Salvador Urena on Vimeo. Are you interested in doing something different for fun or exercise. We can do both! 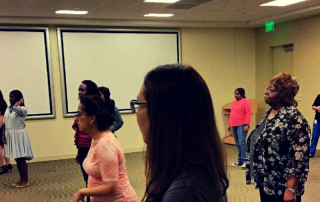 We were very thankful to be invited to do a dance lesson for Cinco De Mayo Celebration at Fidelity Investments Westlake Texas. Our service includes bringing sound, microphone, music and dance instructors. Pricing starts as low as $150 a dancer.